Weird Wonderful Web: Some people give crap Christmas gifts! This small pet dog leaves a little present for the family. Christmas is over for another year. Christmas presents are still being tried and tested in that in-between time after Christmas and before New Years.. 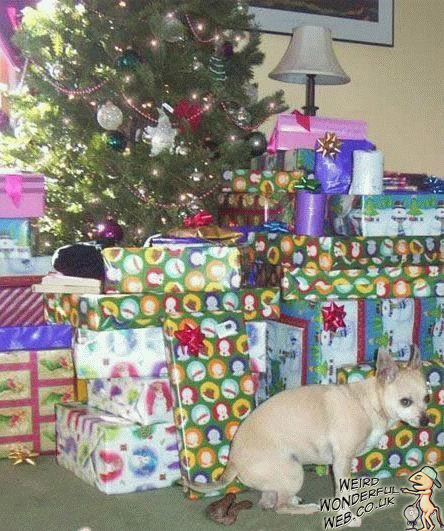 This little pooch in the picture was feeling a little guilty and decided to leave the family a little surprise Christmas present under the tree. Although he admits it's a bit crap, it's the thought that counts after all, right?